(NaturalNews) There are two types of diabetes. Type 1 usually appears in childhood, and its symptoms can be quite abrupt and severe. Type 2 diabetes is more common, and its symtoms present more gradually. It can develop at any age and is considered preventable. Early symptoms of the disease can include fatigue, unexplained weight loss, blurred vision, sores that are slow to heal, frequent urination, increased thirst, unusual hunger, recurrent bladder infections and yeast infections. Type 2 diabetes diet: What to eat, what to avoid. The key to preventing diabetes, and lessening the need for drugs after diagnosis, lies in your diet. By eating healthy, blood-sugar-lowering foods, and avoiding foods that raise blood sugar levels, you can help your body heal naturally. Fruits and vegetables - Most whole fruits and vegetables are vitamin and mineral dynamos. They contain heart-healthy sterols and stanols, antioxidants and blood-sugar-regulating fiber. Some -- such as soybeans, avocados and corn -- are high in polyunsaturated fats, though you should be careful to avoid GMOs. Include generous amounts vegetables in your diet, including a wide variety such as squash, tomatoes, berries, beans, dark leafy greens and cucumbers. Fruits are also very nutritious; however, some can also be high in sugar and carbohydrates, so care should be taken when including them in your meal plan. Whole grains - Whole grains are not only packed with vitamins and micronutrients, because they have not been processed, but also include both the bran and the germ of the grain. Whole grains are digested by the body much more slowly than their overly processed counterparts, slowing the release of sugars and moderating blood sugar levels. It also contains indigestible fiber which makes you feel full without raising your blood glucose level. 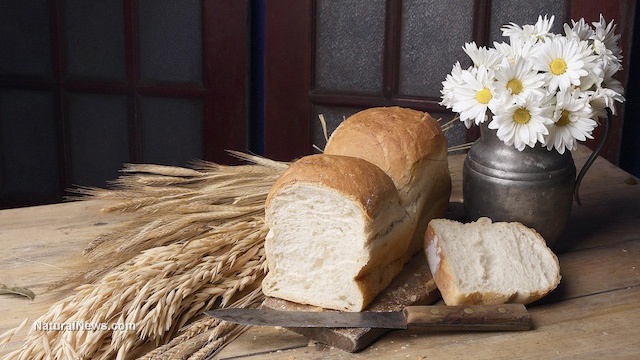 To avoid other health issues, you should make sure to consume gluten-free whole grains. How you eat matters, too - If you eat frequent, small, high-quality meals throughout the day, you are more likely to consume fewer overall calories while maintaining a steady blood sugar level. Studies have shown that people who eat small, frequent meals are much more likely to have a healthy weight which lowers their risk of type 2 diabetes. Trans fats - Most trans fats are plant-based fats that have been chemically altered. They were originally developed as an alternative to animal fats such as lard and butter. Unfortunately, study after study has shown that not only are trans fats unhealthy for your cardiovascular health, but they are actually worse than the animal fats that they were made to replace. A study published by The American Journal of Clinical Nutrition (1), has also shown that the consumption of trans fats can greatly increase your chances of developing type 2 diabetes. Processed sugars - The human body, developed through millions of years of evolution, needs sugars, but only those found naturally in whole, natural foods. Our bodies are not designed to handle the huge influx of sugar that comes from eating modern, sugar-laced foods and drinks. High volumes of processed sugars cause your blood sugar levels to spike and then drop. This cycle leads to overeating and obesity, two clear predictors of developing type 2 diabetes. Sugary drinks - When you drink sugary beverages and soda, you consume many more grams of sugar than you would even from eating pastries or candy. A 32-ounce soda, for example, according to the Healthy Times Blog (2), can have as much as 91 grams of sugar, more than you'd find in an entire chocolate cake! Most people would never dream of eating a whole cake in one sitting, and yet many do polish off those giant sodas without realizing how much sugar they are ingesting. Replace sugary drinks and sodas with mineral water or, better yet, green tea -- either hot or iced. Green tea has been shown to help stabilize blood sugar levels. Highly processed carbohydrates - Grains that have been highly processed, such as white flour, have no bran or germ and very little fiber, so they're quickly digested and turned into sugars in your blood stream. This causes the same type of blood sugar and insulin spikes as seen with white sugar. Highly processed carbs are so closely associated with an increased risk of type 2 diabetes, in fact, that, when the National Institutes of Health (3) looked at the eating habits of over 160,000 female nurses, it found that the women who included whole grains in their diets on a regular basis were 30 percent less likely to develop diabetes. A healthy diet is not complicated. Eat whole, natural, low-fat foods, including lots of fruits and vegetables, and avoid sugar, trans fats and processed carbs whenever possible. It's as simple as that.